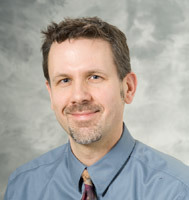 Dr. Field is Chief of Neuroradiology and Professor (with tenure) in the Department of Radiology with an affiliate appointment in Biomedical Engineering. He is internationally known for his contributions to the development and clinical translation of advanced magnetic resonance (MR) techniques for imaging the brain, particularly for diseases of white matter including multiple sclerosis (MS). Dr. Field attended the University of Illinois at Urbana-Champaign from 1980-1985, receiving his Bachelor's and Master's degrees in Electrical Engineering. He received the M.D./Ph.D. (Bioengineering) degrees from the University of Illinois College of Medicine at Chicago in 1993. His postgraduate training included a medical internship at Northwestern University/Evanston Hospital (1993-94), residency in Diagnostic Radiology at Rush-Presbyterian-St. Luke's Medical Center in Chicago, IL (1994-98), and fellowship in Neuroradiology at Wake Forest University (Bowman Gray) in Winston-Salem, NC (1999-2001).